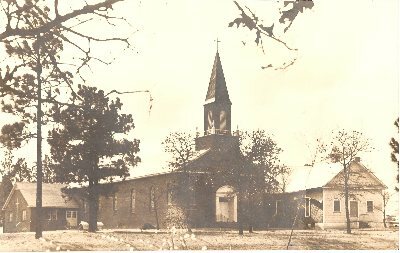 In the spring of 1886 fifty-six men and women presented a petition to the Fayetteville Presbytery meeting at Lumber Bridge requesting to organize a church in what was then known as the Black's Mill section of Moore County. On September 15, 1886, the church was officially organized with twenty-nine charter members; the name "Culdee" was chosen. The name came from an ancient monastic order with settlements in Ireland and Scotland; the brothers were noted for their care of the sick and poor and their love for the musical part of worship. Five different houses of worship have served the growing congregation. The present sanctuary was completed in 1962. Later, a manse was built in 1968; followed by a new education/fellowship hall in 1983-1984.